I can only apologise for my recent lack of blogging; if you had wanted to read about nursery schools and farm visits then I could have obliged. I have however been on a new project surge at my house: moving furniture around, buying cushions and getting some quotes for jobs. Mr Paint chart joy has even got out his paint brush again! 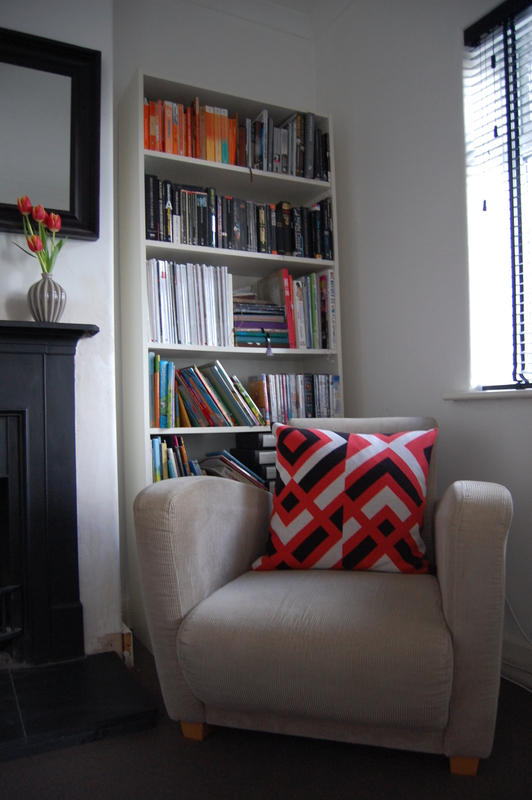 Here’s a bit of my new look front room with its lovely new cushion from John Lewis. As you can see, I still need to finish off where the new fireplace has been fitted. Oh and I should probably have tidied up the children’s books before I took this photo but I’m keeping it real. My storage reorganisation has left a lot more space in my open plan room for toy storage. After experimenting with buying a fancy new cabinet, I just couldn’t bring myself to spend lots of money on something that was going to be banged about all day. 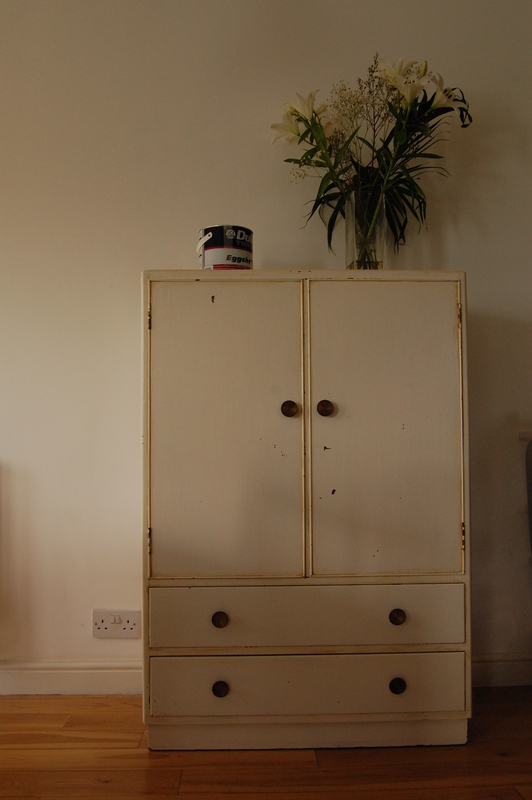 So here’s my new Ebay cupboard which cost a whole fifteen pounds that I can’t wait to paint in Dulux’s Spring Breeze 3.